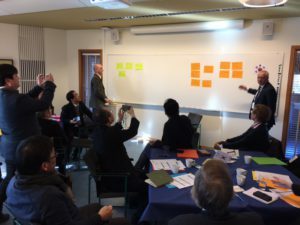 We’ve written about the Swedish Academic Collaboration Forum (SACF) several times before in this blog. 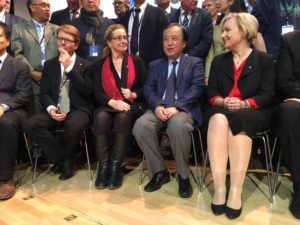 This is a collaboration project that has received valuable support from the Swedish Foundation for International Cooperation in Research and Higher Education (STINT). Six Swedish higher education institutions have jointly organised seminars, workshops and meetings in six countries on three continents, in which 208 organisations and 864 individuals have participated. At yesterday’s seminar – “Harnessing the power of international collaboration” – in Stockholm, participants from all the countries and higher education institutions involved met to discuss what we have learned along the way and above all how to move forward. When summing up our round table discussions, we agreed that much has happened, many partnerships have been deepened, new cooperation has begun, student exchanges have been initiated and agreements between research funding actors are in preparation, all thanks to SACF. Several groups had proposals on various types of Swedish offices in the countries concerned, like the one we have started in Hanoi, which can serve as a model for future offices abroad. 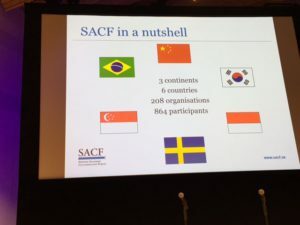 This was the last SACF seminar in this project, but as many people pointed out during the day, it is just the beginning. To borrow Churchill’s words: Now this is not the end. It is not even the beginning of the end. But it is, perhaps, the end of the beginning. 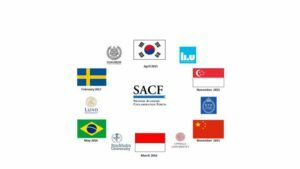 I am quite convinced that SACF will return in various forms and that we have learned to cooperate internationally and can now take our experience and contacts forward in future projects and activities. Thank you to everyone who has been involved in SACF and contributed in one way or another to all its successes!